View More In Bells & Sleigh Bells - Page 3. Cheery chips! 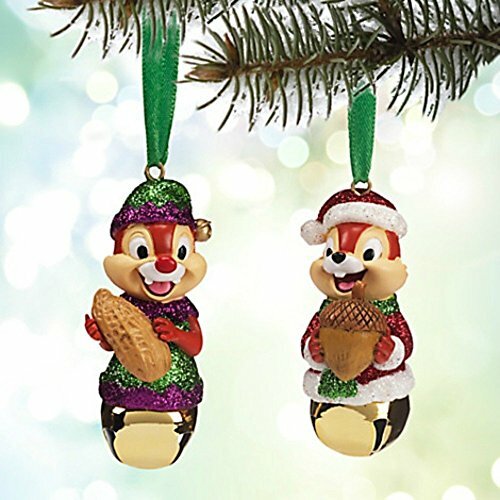 Our merry, mischief-making pair of chipmunk pals, Chip 'n Dale, store up good spirits as they hang around your home for the Christmas holidays on golden jingle bell ornaments to ring-in a truly nutty Noel for one and all! If you have any questions about this product by Disney, contact us by completing and submitting the form below. If you are looking for a specif part number, please include it with your message.